This is La Vergne will not be endorsing any single candidate this year. Instead we encourage you to reach out to the candidates and talk to them individually. Don’t listen to the theatrics and accusations because – as I learned when I ran two years ago – people on social media did not accurately represent me, my professionalism, or my qualifications and abilities. Instead ask the candidates in person, by text, by phone, by messenger… what do they want to see done. Go past the “get the bums outta office” drama. Learn who they are and if they have genuine ideas. Ask yourself if they will truly have a positive impact on our city, will they govern without favoritism and drama. Will they have a steady hand on the tiller, will they have self-control but also be passionate? It’s up to you to decide. Don’t be apathetic, let your voice be heard. If you need a ride to the polls, please message us. If you need to register to vote, please do so. You can visit the Rutherford County Election Commission here to learn how. 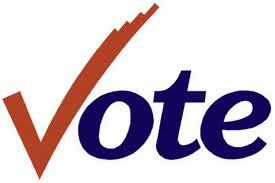 Voter registration is also available at the library and at the front counter of City Hall. ""Why Should I Vote for You? "", 5 out of 5 based on 1 ratings.